You’ve watched Youtube tutorials and read tips from the experts in Cosmo and Glamour. You have all the right products. Now what? Makeup brushes. Makeup brushes are the most important and yet expensive tools to have in your stash. But I promise you, they are absolutely essential. What’s the point in have good quality makeup when you’re rubbing it on with a thick sponge, soaking up all the product, or worse, with un-sanitized fingers? Brushes give you smooth (and clean) makeup application, from giving your skin an airbrushed look to creating that flawless black eyeliner. Now that I’ve convinced you that you need brushes, where do you start? I know it can be overwhelming to walk into a makeup store or counter and look at all those pricey brushes. So let me break it down for you. In the video below, I’ve whittled it down to four essential brushes every woman should have, without breaking your wallet. I’ve also got some intermediate-level brushes for those of you wanting more options. If you keep watching, I break down how to keep your brushes clean to last you a lifetime. 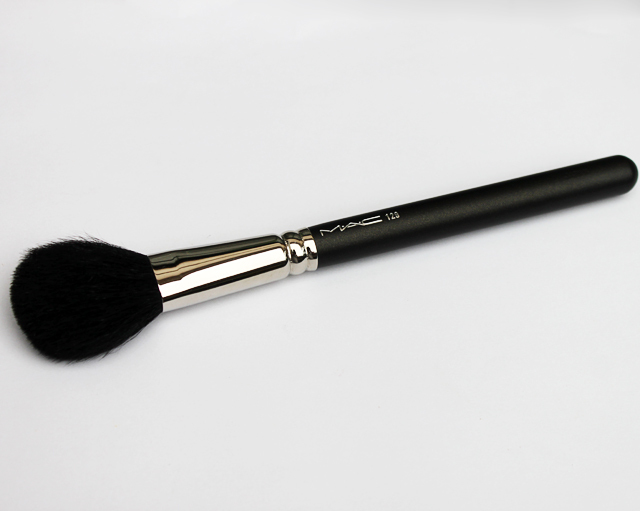 This brush will help you apply shadow to your lids and brow bones quickly. You can also use this to apply concealer. This brush will help you line your eyes with eyeshadow powders or any gel and liquid liners. It’s also a great tool to use when filling in your eyebrows. 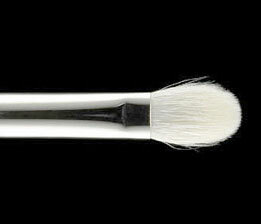 This fluffly tapered brush will help you buff in darker shadows in your crease. It’s a must have! If you try to do your crease with a flat eye shadow brush it will smear all over. 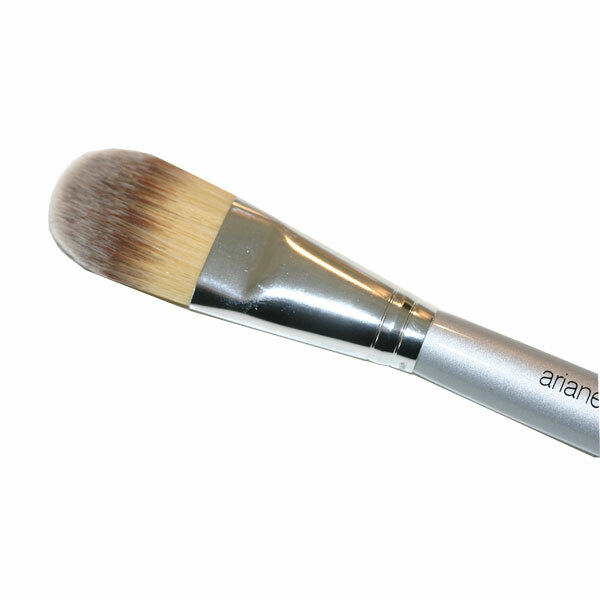 The fluffy shape of this brush will apply a small amount of shadow at a time. TIP: Use it in tiny circles and windshield-wiper motions. Don’t be fooled by the name. This brush is small enough to do your blush, but big enough to also do your loose/pressed powder and bronzer. For those of you who have the angle brush down and are experts at doing perfect eyeliner, the pointed liner brush is the next step. 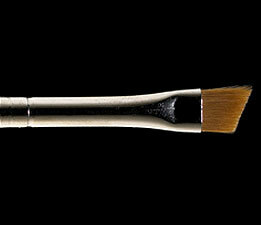 This brush will give you precise flicks and perfect lines when used correctly. TIP: Use your pinky as an anchor against your face to give you a steady line. 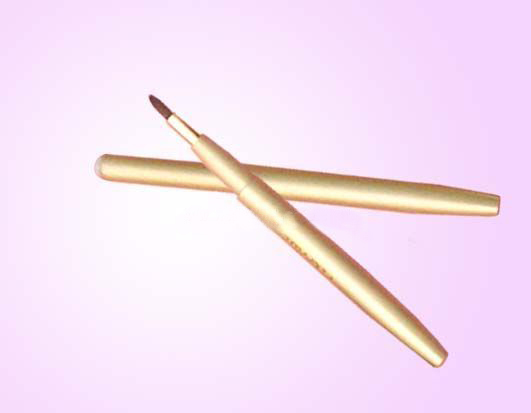 The pencil brush is fantastic for smudging pencil and gel liners along the bottom and top of your lids. 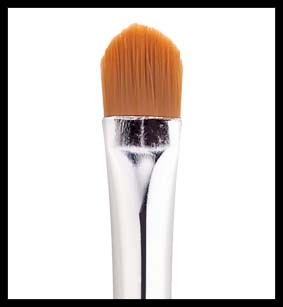 For those of you with a smaller eye shape, this brush is amazing in the crease! MAC spear-headed the fiber-optic brush movement, but most lines carry these nowadays. The sparsely placed fibers apply a small amount of product at a time to your face and cover large areas quickly. 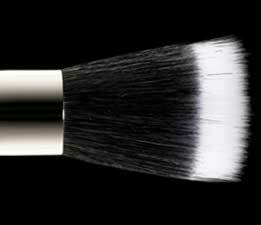 TIP: use this brush to set your makeup with Makeup For Ever’s HD Powder. I die! The hairs on this crease brush are finer than the original one I showed you earlier, and there are less hairs in each brush as well. These two things make this brush perfect for precisely adding deep, dark colors in the outer corners of your crease. 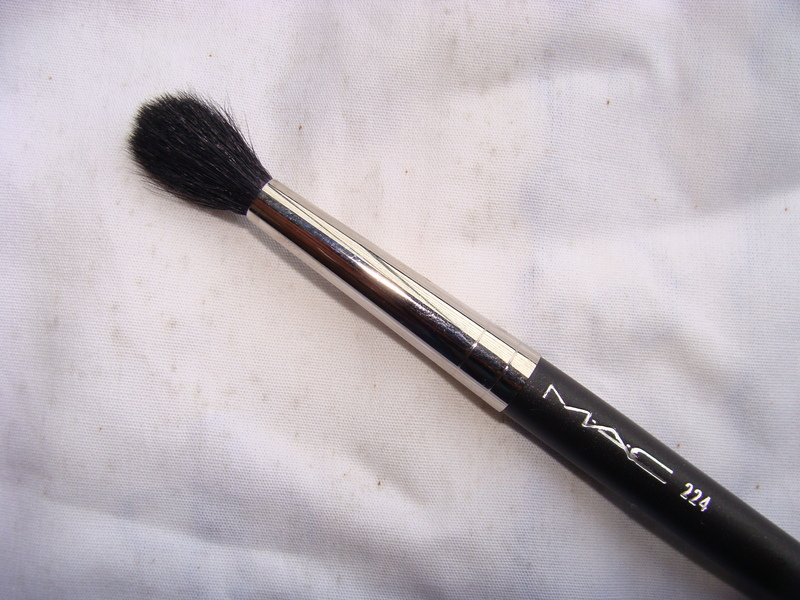 If you are a smoky eye fan, try this brush. It will keep you from developing raccoon eyes. TIP: Remember, small circles, buff, buff, buff! For those of you who don’t like applying lipstick directly from the tube, or looking for a more precise application, a lip brush is for you. I always go for retractable lip brushes, or ones that come with caps, so I can throw it in my purse for touch-ups. I love fiber-optic brushes so much that I included another. 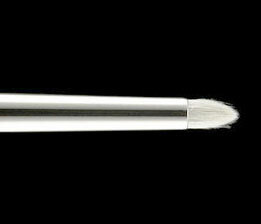 This is a smaller, flat-top version of the original fiber optic face brush and can be found at most brands. The size is perfect for blending in highlighters and liquid concealers in that delicate eye area- its get in all the nooks and crannies. TIP: apply liquid concealer directly under the eyes then buff in using the brush in circular motion, while your eyes are closed. While I adore MAC Cosmetics’ brushes and products, they are no longer cruelty-free, so I don’t feel right recommending their brushes to you. I purchased all of my MAC brushes during the time when MAC was 100% cruelty-free. Recently they have changed their policy. It now states, “M.A.C has a longstanding policy to not test on animals, nor ask others to test on our behalf, except when required by law.” Fans are speculating that MAC changed their policy in order to legally sell in countries that require animal testing of sale items, such as China. I still like to believe that MAC is cruelty-free in places outside of China. But there’s no real way of knowing. In no way do I think MAC is a bad company. They do so many good things, like the MAC Aids Fund and Kids Helping Kids. Hopefully they will find a way to become cruelty-free again. Bdellium Tools– The Green Bambu Series features eco-friendly makeup brushes with all sustainable bamboo handles and all vegan soft synthetic bristles and an anodized aluminum ferrule. by no means understand. It seems too complex and very large for me. You can follow me on Instagram, Twitter and Facebook, just look up Leading Lady Makeup! contribute to the conversation. It’s triggered by the passion communicated in the post I read. And after this article Makeup Brushes Every Woman Needs |. I was moved enough to post a leave a responsea response 🙂 I do have 2 questions for you if you do not mind. Could it be simply me or do a few of the comments look like they are coming from brain dead individuals? 😛 And, if you are posting at other online social sites, I would like to keep up with anything fresh you have to post. Could you make a list every one of your communal sites like your twitter feed, Facebook page or linkedin profile? Glad you are finding it helpful! Thanks for reading. Do you want high quality MAKEUP BRUSH 7 NAIL BRUSH? Yay! Thanks for reading my blog, Sharon!